Some were warriors. Some were lawyers, some historians, some moved by an inner passion so great that they appeared to move against kingly power like moths to the flame, risking, and often giving, their lives. They wrote, cajoled, and sometimes cried out for all to hear that the law is above the king.This fascinating treatise examines how Western ideals of democracy have evolved and emerged through the ages and across continents. Craig S. Barnes shares the inspiring stories of a diverse group of men and women (whether they be leaders, poets, or peasants) who pioneered due process, habeas corpus, and the balance of powers. Exploring the premise that "democracy is not a given in social evolution," Barnes contrasts the heroic figures of history to those in recent administrations who he argues have ignored the precious nature of our inheritance and have placed democracy at risk. 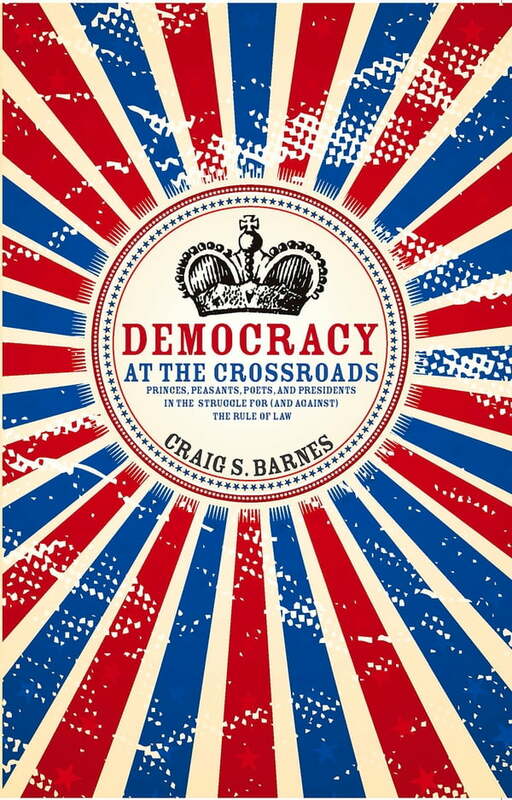 Democracy at the Crossroads is a stirring reminder of the fragility of our rule of law and the need for vigilant protection of our hard-won liberties.Craig S. Barnes began his career as a public interest lawyer dealing with women's rights and the environment. He was also active in politics and civil rights, running for Congress in Denver as a peace candidate in 1970. He is the author of Growing Up True and In Search of the Lost Feminine.